The US and South Korea struck an important agreement this week. Many are recognizing it as the first success of President Trump's trade strategy and a turning point in general. It is being offered as an innovative and visionary development. We are less sanguine. Far from new, we see the US trade thrust as a return to the policies of the Reagan years before the birth of the World Trade Organization and the binding dispute settlement process. These policies consist of threats of tariffs, pursuit of so-called "voluntary" export restrictions, and the use of quotas. Moreover, the US macroeconomic policies, particularly spending, investment, and savings, warn that whatever improvement that can be managed in the US-Korean trade will be lost in the larger forces that will likely lead to wider trade deficits. US data shows a trade shortfall of almost $23 bln with South Korea last year. Globally, the US trade deficit was almost $570 bln last year. In 2012, when the US and Korea initially struck the trade agreement, the US trade deficit with Korea was about $16.5 bln, and the overall shortfall was about $536 bln. A 20% reduction in the US bilateral deficit with Korea is tantamount to a rounding error in the international balance. Korea agreed to limit its steel exports to the US to 70% of recent annual averages and in exchange, will not be subject to the tariffs. However, Korean firms are not exempt from the 10% tariff on aluminum. Korea agreed to allow as many as 50k autos per US producer up from 25k now, which they do not even come close to meeting. And those auto imports are exempt from meeting local safety standards, recognizing US standards. Korea has also agreed to eliminating some non-tariff barriers, like environmental testing. Korea also conceded that the 25% tariff on Korea-made pick-up trucks can be extended from 2021 to 2041. Reports suggest that there is a separate side agreement about currencies. In recent years, the US Treasury has often been critical of South Korea for intervening in the foreign exchange market too much and without transparency. The side agreement is not enforceable with the trade agreement. It is the lack of enforcement that had made some US legislators critical of the Trans-Pacific Partnership agreement that had a similar component, whose enforcement is not clear. Still, US Treasury's report on the international economy and the foreign exchange market, due in the middle of next month, may still warn against South Korea's foreign exchange practices. It has been on the US "monitoring list" due to its large global current account surplus (~5% in 2017) and its bilateral trade surplus with the US. The last Treasury report encouraged greater transparency of its intervention. 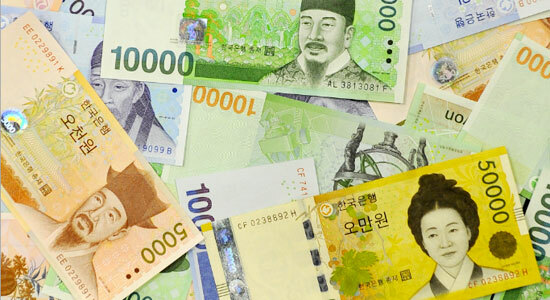 South Korea's reserves, a proxy for it intervention, have risen from $33 bln before the 1997-1998 Asian Financial Crisis to $96 bln at the end of 2000 to $291 bln at the end of 2010 and roughly $390 bln at the end of 2017. Korea's holdings of US Treasuries have risen from $30 bln in 2011 to nearly $102 bln as of January this year. The size of South Korea's GDP has nearly tripled since 2000, rising from about $560 bln to more than $1.4 trillion last year. If the US trade tactics have been deployed previously against Japan, it behooves investors (and policymakers) to review Japan's response. For example, if there is a quota, then it makes sense that the foreign producer would shift the product mix to favor the goods with higher profit margins, as Japan did with autos. Also, to get around the protectionist walls, real or threatened, some will build or buy production facilities in the US. A key issue is whether the US success with Korea can be duplicated. Given the security needs, and the critical time for North-South relations, the US had leverage over Korea that might not be able to be repeated, especially with China. The tactics may not work as well on Europe either, even if there is an implicit threat about NATO. For more than 20 years, American policymakers chose the multilateral route and the binding conflict resolution mechanism to the cruder threats. We do expect other countries to make concessions to the US grudgingly. Making small concessions may be more desirable than risking a major falling out that would only reinforce the sense that the multilateral world is dissolving. However, the actual results may fall shy of what US policymakers think. In the last several administrations, officials wanted to avoid the appearance of the US dictating to countries the proper currency policy. The G7 and G20 are such forums to agree on best practices, and have sought to give the IMF more power to monitor, evaluate and recommend corrective behaviors. We are concerned that ultimately the US is perceived to be like the emperors of old who every so often for political or economic reasons demanded greater tribute from its colonies and possessions. Even if this leads to short-term transactional gains, the ill-will festers and alternatives to the US dollar and leadership will be sought. The US can secure more of the distributional gains associated with trade, but there are likely to be long-term costs that should be considered when evaluating the consequences.